So the iPhone 5 has finally been revealed and it’s garnered a mix of reactions, from analyst optimism over predicted bumper Christmas sales, to just a touch of cynicism sparked by its lack of that elusive ‘wow factor’. But the most important feature announced by Apple, for app developers at least, isn’t the iPhone 5’s 4-inch display or A6 chip. It’s something so subtle it was barely mentioned during the press conference. What am I talking about? IOS 6’s new app search algorithms and recommendation features. Bear with me! It’s no secret that there’s a lot of developers out there creating a lot of mobile applications. The App Store has over 650 thousand apps, 250 thousand specifically designed for iPad, and added a whopping 50 thousand between April and July. Google Play is fast catching up with 600 thousand apps as of June and 1.5 billion installs per month. The problem of discovery is so pronounced that there’s an entire industry out there revolving around app promotion – companies that specialise in getting your app noticed and downloaded. The cost of acquiring loyal users, according to research firm Fiksu, now stands at $1.31 per user. The cost of getting into the top 10 apps within a category is around $20-30 thousand. Remember, Apple takes a 30% cut of all sales (including in-app purchases), so margins are really being squeezed for developers (plus you have to question whether 30% is a fair cut for an evidently inefficient distribution model?). So what is iOS6 going to do about this? Well, back in February Apple bought a company called Chomp, which had developed a free iOS app that allowed users to search the App Store via a proprietary algorithm. Chomp’s algorithm – which contains over 10 patents – is clever enough to understand what apps actually do, rather than just searching via keywords or app names. The Chomp app also featured recommendation functionality and social networking integration. Therefore with iOS6 Apple is promising a much better search algorithm boosted by Chomp’s technology, ensuring a new level of relevancy that goes beyond keywords. Not only that, iOS6’s will remove the “Categories” tab from the main App Store screen and replace it with the “Genius” tab. This shows Apple is getting very confident about its recommendation algorithm’s ability to supplant search. Plus iOS6’s Facebook integration will enhance Chomp’s own social search functions, letting Facebook users follow exactly what their friends are downloading on the App Store. As we all know, smartphone platforms live and die by the quality of their apps and that quality is worthless if no one can find what they’re looking for! So will Apple’s new search functionality be the ‘killer app’ for developers? 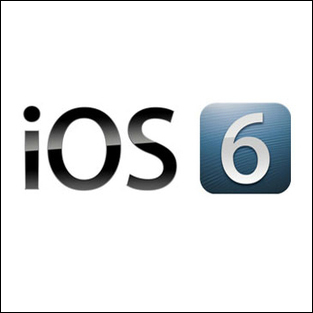 IOS 6 is out on September 18, so we don’t have to wait long to find out. To learn more about our app development services, click here.